With you all knowing how deep my love is for Phillip Lim, you can probably tell what adjectives I'd use describing this collection, so this time I'm gonna let the clothes speak for themselves! Very nice and interesting pieces. Love these outfits. These styles are very unique. wonderful. i love those pictures! This collection really looks so cool! 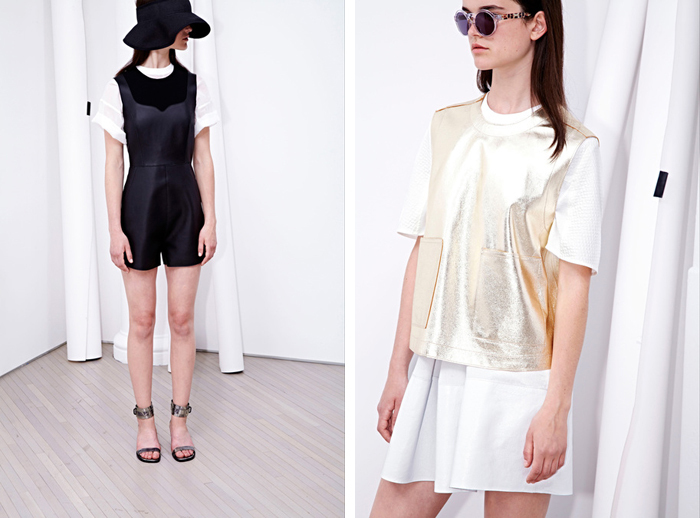 So many great pieces, love Phillip Lim! Preciosa colección, me ha encantado. Gosh! I am loving it so much! My fave is definitely the last leather dress! so bold but yet simple! Love love love the simple tailoeing and cuts!